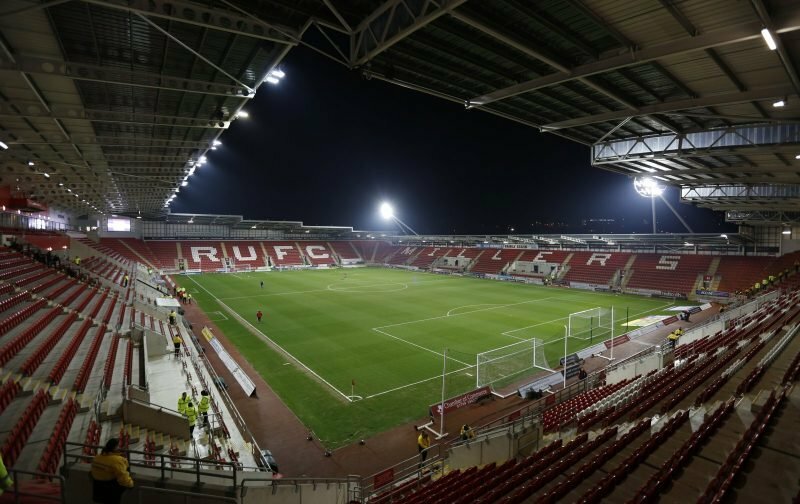 It’s been a bit like buses at the New York Stadium since tea-time today with Rotherham United making not just their first summer signing but their second as well. Both defender Clark Robertson and striker Kyle Vassell have left Bloomfield Road and Blackpool to join the Millers, both on free transfers. Semi Ajayi, Richard Wood, Michael Ihiekwe and Manny Onariase being the other four. Of course, Onariase’s only two games in a Rotherham shirt were in the Checkatrade Trophy and he spent the last half of the season on loan at Cheltenham and we obviously have to have back-up players for every position in case of injuries or suspensions so I don’t suppose five is too many. On the other hand, can we keep five centre-mids happy? Kyle will have to push the likes of Jamie Proctor, David Ball, Michael Smith, Jerry Yates and Alex Bray to get a chance of starting although Bray and Yates haven’t been much in the Manager’s mind for starts this season with Bray spending the latter part on loan at Forest Green, scoring once in eleven games. So, after waiting and wondering for the last couple of weeks we now have two new players in the ranks – what does everyone think?